Qatari courts and foreign arbitral awards – the end of the story? The Qatari Courts have in recent months issued a series of important judgments concerning the enforcement of arbitral awards in Qatar. In a much–commented on decision issued on 7 December 2013 (Decision No. 2216 of 2013), the Qatar Court of First Instance refused to enforce and simultaneously annulled an arbitration award rendered in ICC proceedings seated in Paris. The reason for this decision, published only recently, was that the award was not issued in the name of His Highness the Emir of Qatar. This judgment affects any award which concerns Qatar law, irrespective of the place of arbitration and is likely strongly influenced by an earlier ruling of the Qatar Court of Cassation of June 2012 concerning the enforceability of domestic awards. In that case, the Court of Cassation held that “Article 69 of the Civil Procedure Law indicates that […] judgments should be rendered and enforced in the name of the highest authority in the country, i.e. His Highness The Emir of Qatar. If this public order rule is violated, the relevant judgment is considered null and void”. Following this analysis, the Qatar Court of First Instance ruled that since the ICC award was not made in the name of the Emir, it was “conclusively invalid since this invalidity is related to public order”. This judgment – which was upheld by the Court of Appeal on 13 April 2014 – is troubling for two reasons. Firstly, it poses an impediment to the enforcement of international arbitral awards in Qatar based on arguments of public policy. Qatar is a member of the New York Convention on the Recognition and Enforcement of Foreign Arbitral Awards, and although it is not clear from the judgment whether the court considered the New York Convention, this convention permits the refusal of enforcement of awards on limited grounds, such as that the enforcement would be contrary to the public policy of the country where enforcement is sought. However, in order to give meaning to the Convention and its aim to facilitate the easy enforcement of awards across the world and its jurisdictions, it appears desirable that those grounds of public policy which warrant the refusal to enforce an award are interpreted narrowly. Otherwise, the New York Convention loses its force and appeal. Secondly, the judgment ignored fundamental principles of arbitration law and rules relating to the role of the seat of an arbitration. Since the award was rendered in Paris, only the French courts were competent to consider an application for its annulment. The reasoning on the basis of which the Qatar court assumed jurisdiction concerning this issue is thus at odds with well-established principles of international arbitration. Qatar’s Court of Cassation has however now changed this approach. In its decision of 25 March 2014 (Qatar Court of Cassation Civil Challenge No. 45 and 49 of 2014), the Court applied the New York Convention and reinstated an ICC award rendered in Doha in 2012. The award related to a matter between a Qatari subcontractor and a locally incorporated joint venture. The Doha Court of First Instance had set aside the award in April last year and this decision was upheld by the Doha Court of Appeal last December. 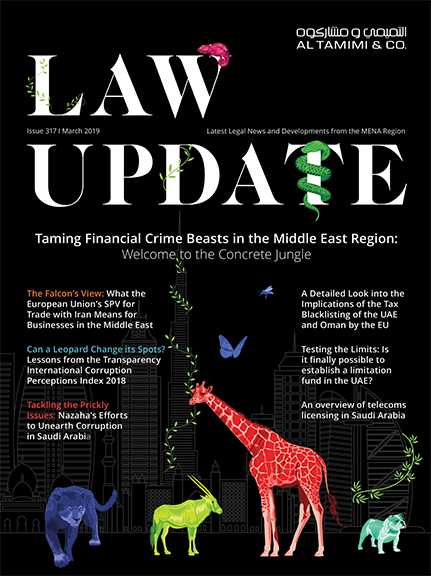 Relying upon the 1990 Qatari Civil Procedure Law, the courts in both instances found that an arbitrator’s “judgment”, which is not rendered in the name of the Emir of Qatar, must be considered void and contrary to the public order. In its ruling, the Court of Cassation upheld arguments by the Qatari subcontractor that the ICC award was in fact a foreign award to which the New York Convention should apply for enforcement purposes. It then found that the Convention did not require that a foreign award must be rendered like a court judgment in the name of a head of State such as an Emir. At the same time, the Court appears to have arrived at the conclusion that the award was a foreign, rather than domestic, award on the basis that the award was rendered in English and – confusing the governing law of the contract and the applicable law – that the applicable law was “the rules of the Paris commercial chamber”. Even though this reasoning might leave much to be desired, it can only be seen as a step in the right direction when it comes to the attitude of the Qatari courts towards arbitration. Based upon this, there is hope that the award rendered in the above-mentioned ICC arbitration in Paris might also be reinstated when considered again by the Court of Cassation and, more generally, that a new era has begun for the enforcement of arbitral awards in Qatar.